With gourmet coffee shops popping up on virtually every street corner and aisles of imported coffee flying of supermarket shelves, there’s no doubt that we love our coffee. More than half of us drink it every day, and if you’re one of them, that’s good news for our health, as mounting research shows that coffee has many health perks. It’s true: A study published in the New England Journal of Medicine of more than 400,00 subjected reported a decreased risk in dying among coffee drinkers. What’s more, with each additional cup drank (up to six cups) risk was reduced. Coffee drinkers experienced reduced risk for death from heart disease, respiratory disease, stroke, diabetes, and infections. However, there was not a reduced risk of death from cancer. While there’s no cure-all for depression, new research suggests that caffeine may have a direct impact on the areas of the brain that improve mood. 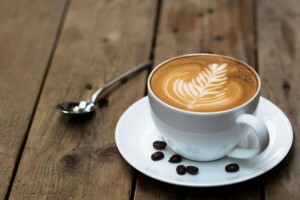 One study published in the prestigious Archives of Internal Medicine by Harvard School of Public Health researchers, found that among 50,000 middle-aged women, those who drink the most coffee were up to 20 percent less likely to have depression compared to those who reported the least amount of coffee and caffeine. As an antioxidant-packed plant-based beverage with hundreds of bioactive compounds, coffee may reduce your risk for elevated cholesterol, heart attack, stroke and heart disease. A study of 83,700 nurses reported a 20% lower risk of stroke in those who reported drinking two or more cups of coffee daily, compared to women who drank less coffee or none at all. A 2015 study published in the journal Circulation found that drinking even one cup of coffee per day is associated with a reduced risk of dying from heart disease. Higher consumption of coffee is associated with decreased risk of Parkinson’s. Coffee has also been linked to lower risk of dementia, including Alzheimer’s disease. A 2009 study from Finland and Sweden showed that, out of 1,400 people followed for about 20 years, those who reported drinking 3-5 cups of coffee daily were 65% less likely to develop dementia and Alzheimer’s disease, compared with nondrinkers or occasional coffee drinkers. Drinking more coffee might help reduce the kind of liver damage linked to drinking excess alcohol, as well as the negative effects on the liver associated with obesity and diabetes. Researchers in the UK reviewed data from nine previously published studies and found that, compared to non-coffee drinkers, those who drank one cup a day had a 22 percent lower risk of cirrhosis. With two cups, the risk dropped by 43 percent, while it declined 57 percent for three cups and 65 percent with four cups. Well, I enjoy drinking both tea and coffee but to be honest, I haven’t known yet about those benefits. That’s so amazing. Thanks for sharing!